Fit4Life is a program designed to develop the muscular strength and endurance you'll need to embrace life's Adventures. 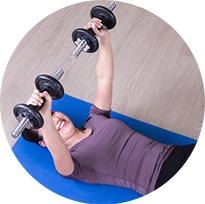 The program uses plyometric exercises that use body weight, body movements and simple fitness equipment coordinated into an innovative workout using unique combinations of exercises, repetitions and timing to challenge your muscles and mind. Your workouts WILL improve your strength, endurance, core, cardio, coordination, balance and flexibility. In the spirit of adventure, Fit4Life delivers a wide variety of workouts to challenge your body and your mind. 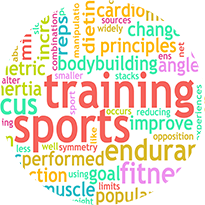 Personal Training is available for individuals or for small groups (up to 3 people – bring your friends ☺). This program can run at my home studio or your residence. Packages are available in groups of 8, 12 and 16 sessions. Every workout is different...challenging and fun. A 30-minute free assessment is provided to discuss program goals and determine your fitness level. The 12 Week program is broken down into 4 three-week blocks. Each block begins with a Personal Training session, followed by three weeks of individualized workouts to be completed on your own. Recommended for individuals who are highly self motivated. Unlimited telephone and email support is available.